I use tomato paste quite often in recipes to thicken up and give great flavor to pasta sauces, chili and soups, but seldom (and by seldom, I mean never) need an entire can at once. Simple solution…take an approx. 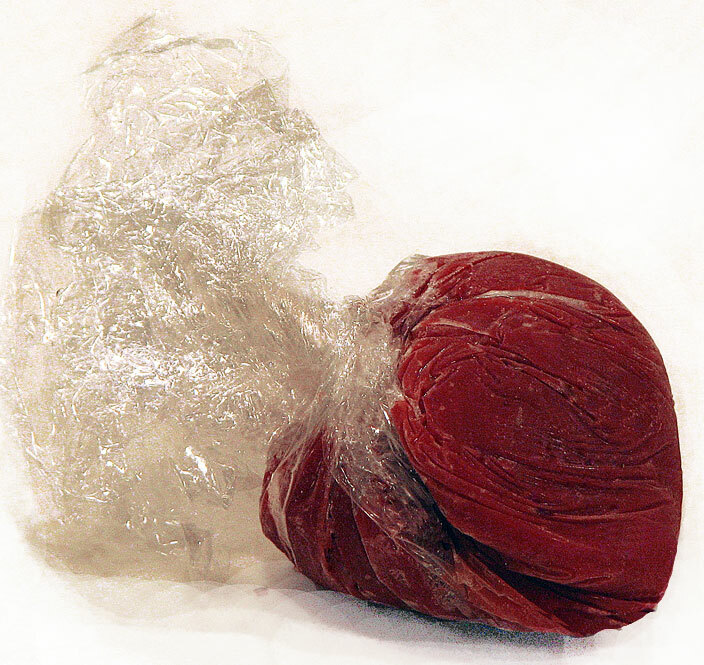 8″ square piece of plastic wrap, drop a 1 tablespoon dollop in the center and fold up the sides and twist closed. Stick these in a freezer bag and place in the toaster (just kidding…in the freezer), and, in the future, when a recipe calls for tomato paste, unwrap what you need (each one weighs about 1/2 oz.) and drop them in…it works great and there’s no waste. And, since they look like little hearts, they also make a somewhat disgusting Valentine’s Day gift. Omg..amazing idea! I can’t believe I never thought of that. This is such a great idea. I usually leave it in the refrigerator until it grows a beard. Here is another great kitchen tip…you should immediately throw out any food that starts to grow facial hair!